A curious mixture of Edwardian proportions, commercial enterprise, apartment living and discreet stylishness, the imaginative and attractive regeneration of Marylebone High Street is one of London's best kept secrets and has in recent years become one of London's premier gastronomic destinations, complete with a supporting cast of high-quality shops and design stores. Properties range from opulent Robert Adam residences in Mansfield Street, spacious Georgian terraces in Harley Street, Wimpole Street as well mews properties with garages and small developments of new-build townhouses. The prestigious Wigmore Hall which stages around 400 recitals a year and acts as a performance platform for the world's most sought-after soloists and chamber musicians is a downtown cultural magnet, catering for the more discerning classical music buff as opposed to the casual listener. Nearby Regent's Park comes alive in summer and is a great place for a picnic with the family, or to take in a play at the open air theatre. Regents Park Tube station (Bakerloo Line) is a stone's throw from the apartment building. 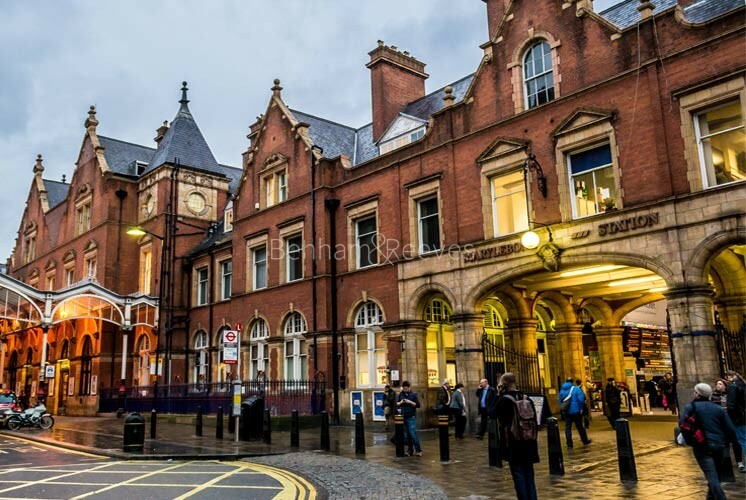 A short walk away is Warren Street Tube (Northern and Victoria line) and Baker Street Underground station (Metropolitan, Circle & District and Hammersmith & City). There are numerous buses along Marylebone Street and Great Portland Street with connections to the City, Kensington and Knightsbridge.